"I didn't like working with that band at all," Pete Townshend tells director Murray Lerner in an interview on this remarkably restored version of an astounding concert film. It can only seem like false modesty after viewing the band - in something of a Led Zeppelin phase, with long guitar solos and expanded blues jams - just destroy the stage with classic songs and a mesmerizing performance of Tommy. 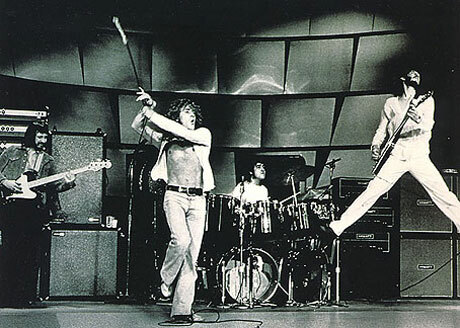 Yet Townshend fusses on: "The Who didn't make the kind of music that I wanted to make, they weren't the kind of band I wanted to be in, and it was just one of those things where I just happened to be there and, when you put us together, we went off into this particular direction." Otherwise sincere and insightful, Townshend flat out denies he had fun at this show but one look at the set (including unreleased versions of "Substitute" and "Naked Eye") reveals a sarcastic young cynic, yes, but also a gifted artist and his rather odd band at the peak of their powers.